A family member posted this clipping, dated Christmas Eve 1978, on his social media feed last month. 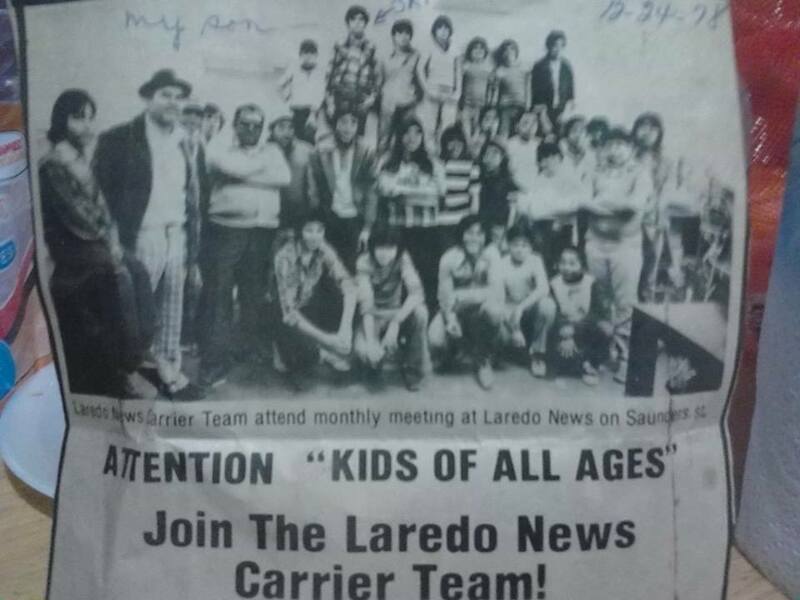 He and a sibling worked for the Laredo News as carriers. 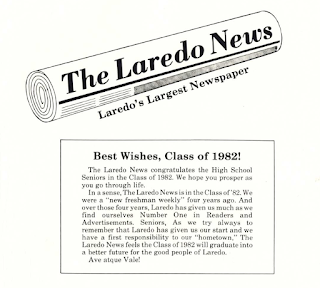 Laredo's population at the time was around 90,000. 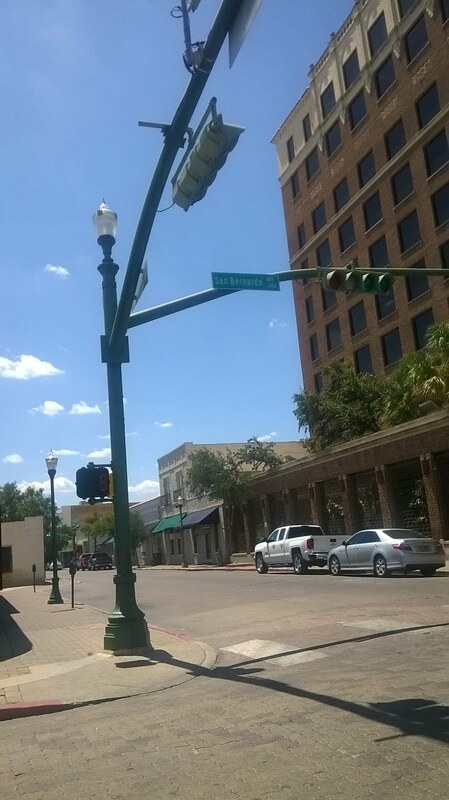 The oppressive Laredo heat has always been a constant, but I shudder to think that carries had to maneuver their bikes through unpaved streets, with dust in their face and dogs nipping at their heels. The Laredo News helped to expose the corrupt dealings taking place in city government. 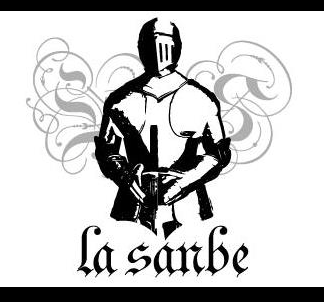 They were the first to tell the story that led to the downfall of the patron system in Laredo. 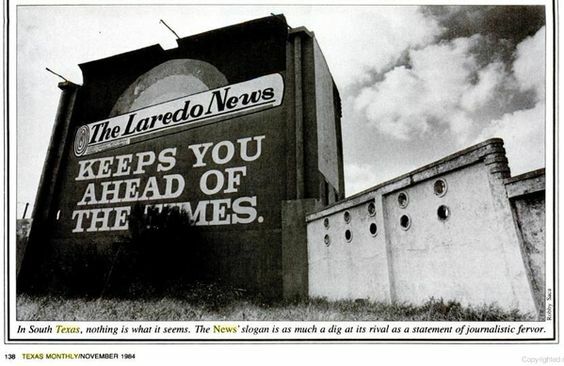 And they took the occasional opportunity to jab their competitors, the Laredo Times. 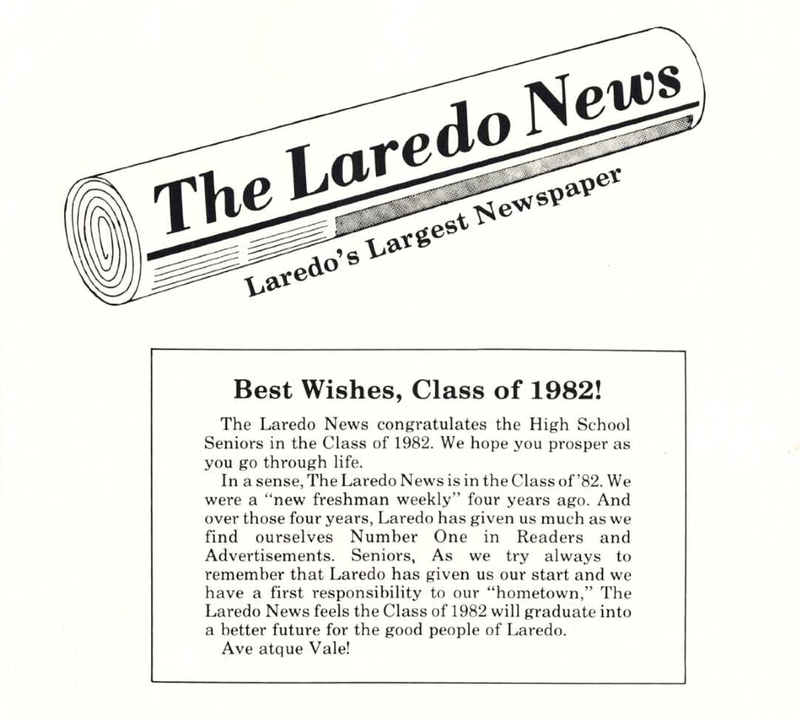 In December 1986 the staff at the Laredo News was dismissed. Apparently, the paper couldn't survive in this small, south Texas market. For a short time, at least, they challenged the status quo. By the way, my letter carrier source said he delivered approximately 120 papers on his daily route. UPDATE on January 6, 2019. 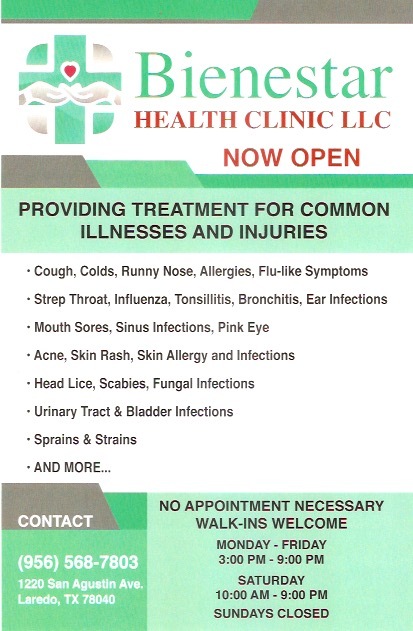 Photo ad that appeared in local yearbook. Danny Alcocer is in front of the camera again. 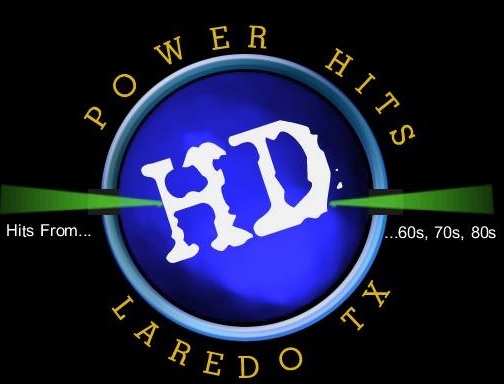 But instead of acting in commercials for Quick-Bite Restaurant, he's giving Laredoans a little background of his days working at KGNS. 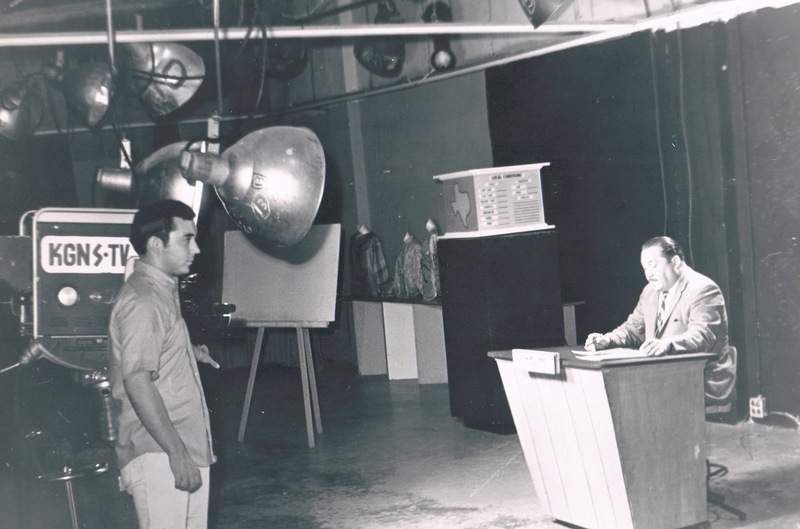 The clip that's making the rounds is one of several celebrating KGNS' 60th anniversary. In it, a shot of the former studio location (820 Convent) flashes on the screen as Alcocer mentions a couple of t.v. 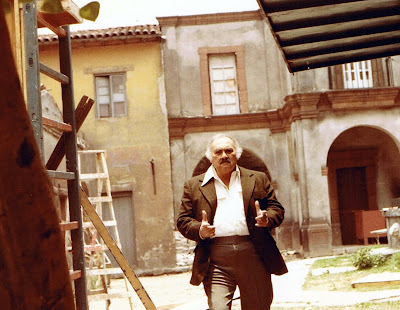 characters that gave us the creeps: Dr. Zekow (Francisco Aguilar), and Count Natas (J.R. Esparza). If the name Alcocer sounds familiar, that's because Danny's father, Hugo Alcocer, was an anchor who used to present the news in Spanish. Danny recalls spending time after school at the studio until after his father was done with the ten o'clock newscast. 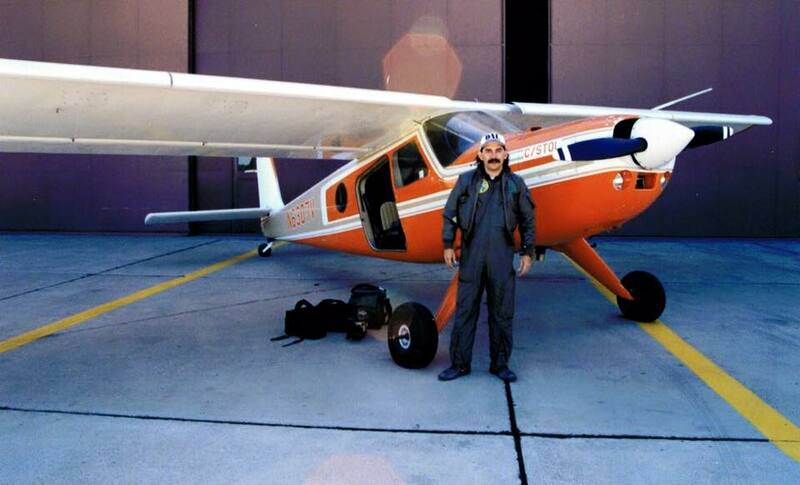 In his teenage years, an opportunity arose: Danny was offered an entry-level position. That would be the official start of him learning the ropes of television production. 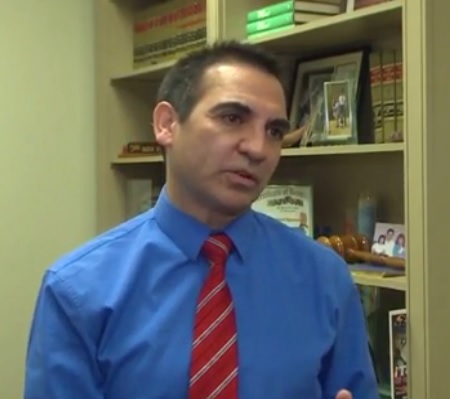 Danny Alcocer moved his way up to creating content for KGNS. He described for me the days of black and white television, and the painstaking technique they had to employ in switching from one scene to another. It was an era of low budgets and clunky, if not primitive, equipment. A bane for Alcocer was having to lug around heavy pieces of equipment for work out in the field. He slogged on; And in 1971, along with the whole KGNS crew, he moved to the studio on Del Mar Blvd, the one currently in use. It wasn't long, however, before Alcocer made another move. He decided to put his skills to work at the NBC affiliate in Austin, TX. 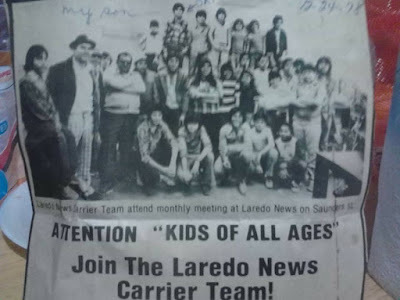 Danny eventually returned to Laredo. In the late 1980s he was part of the KBL-TV Wild Bunch. The group created commercials for our viewing pleasure. 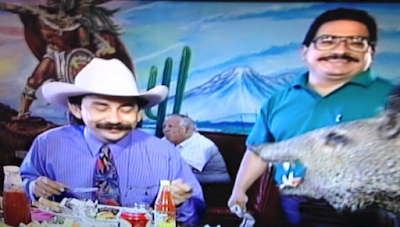 An inanimate extra that got some screen time was a javalina named Prieto (see first photo). The mascot would pop into view and a voice-over would follow: Donde 'stan las muchachas? Something clicked when Danny recounted that old ad theme. A relic of the past suddenly popped out of my subconscious, and my mind tried to make sense of what I had seen and heard many years ago. In between creating some memorable commercials, collaborating with other media types, and answering a call to work in the Laredo Bucks' production booth, Danny got into aerial photography, because that's apparently how he decided to roll. I'm tempted to say that he carved out a niche for himself, but his talents go beyond one realm. Take, for instance, the work he does for Fine Art America. It's a unique style of photography that depends on details; something he likely learned early on at that forgotten studio in downtown Laredo. It was, perhaps, his elders that inspired Danny. Dad was a natural at saying the news and interviewing artists that visited the area. His uncle, Victor Alcocer, was a Mexican actor with a storied career. (photo below) The creative family gene seems to have carried over. 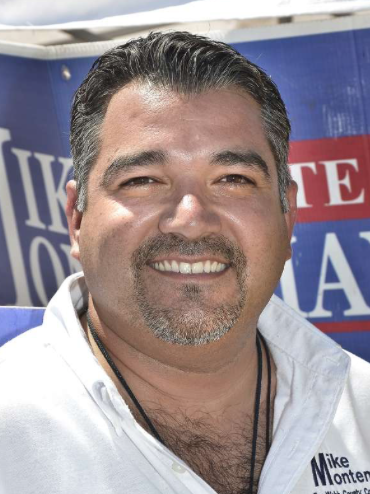 Danny Alcocer speaks highly of Laredo. He thinks it's a great place to raise a family. He values honesty, fairness, and hard work. And he sees himself retiring somewhere else, perhaps a rustic setting with little to no heat and dust. Apparently he's had his fill of this old Texas town. Alcocer has left his mark on Laredo, and it goes way beyond a quirky javalina. 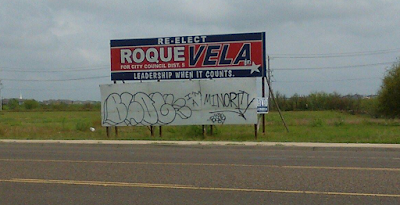 He's helped add to the Laredo narrative, if at times behind the scenes. His story is one of determination, a good work ethic, and passion for his craft. He's definitely a Laredo original and it was a pleasure to meet him. 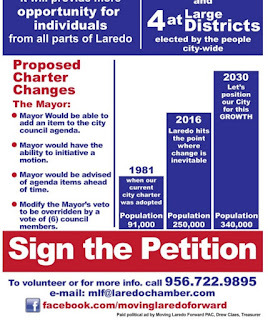 A group of mustachioed professionals concerned citizens calling themselves Moving Laredo Forward are hoping to change things at the city level. M.L.F. (aka the Chamber of Commerce) wants to have the mayor wield a little more power. They also want to change the current 8-district council member model to a hybrid at-large/single member system. They're hoping to get these proposals on the November ballot so the public can decide. To do that, they have to obtain a lot of signatures: five percent of the electorate. The proposed changes for the mayor seem kind of arbitrary. Wanting 6 votes instead of 5 to overturn his vetoes is especially ridiculous. A simple majority is enough, I think. But the issue that is getting a lot of people riled up -- or at least those that are paying attention -- is that of having a mix of single-member and at-large representation. 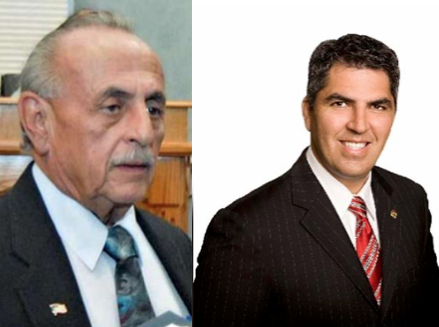 Candidates who would run for an at-large district would have to raise more money and run a bigger (citywide) campaign, but they wouldn't necessarily have to outspend each other. The trick would be to have a larger pool of friends/connections to win votes. The thing I don't agree with is that we would be gaining four more representatives. Our current council members are stretched thin as it is. They really don't make time to address every issue thoughfully. Wouldn't a hybrid system give them more responsibility? And we, as taxpayers, don't really have the time or desire to lobby five different officials. Who does that? I don't buy the argument that we will have more council members listening to our needs when apathy prevails in Webb County. 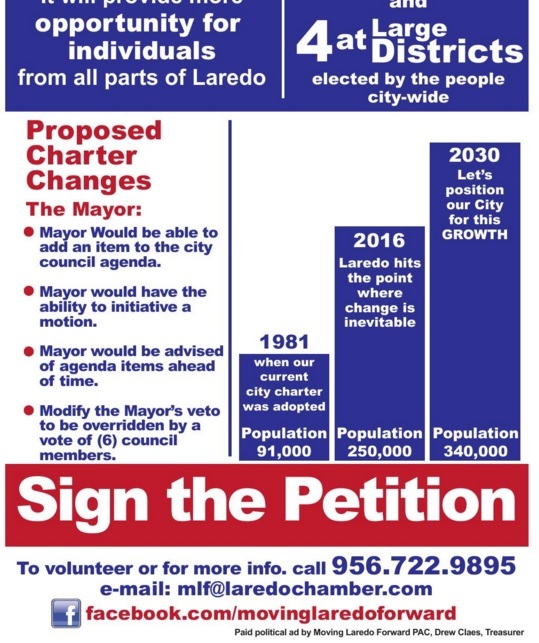 Moving Laredo Forward has until August (so says the city attorney) to get the required signatures to get their items on the Nov. ballot. It might happen, it might not. If you want to help, give M.L.F. a call. They are looking for a few good people. The city explains itself as to what signs can be posted and when. State law is cited by city officials and they even name-drop the Supreme Court. 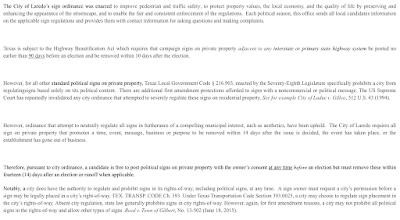 But free speech trumps all, and therefore, signs can go up on private property, according to them. 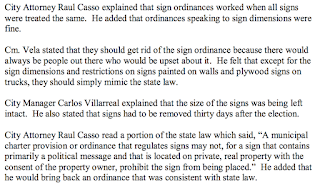 In a December 2, 2013 council meeting, HOWEVER, our city leaders mulled over, what else, but signs. They decided to remove most bans on signs. 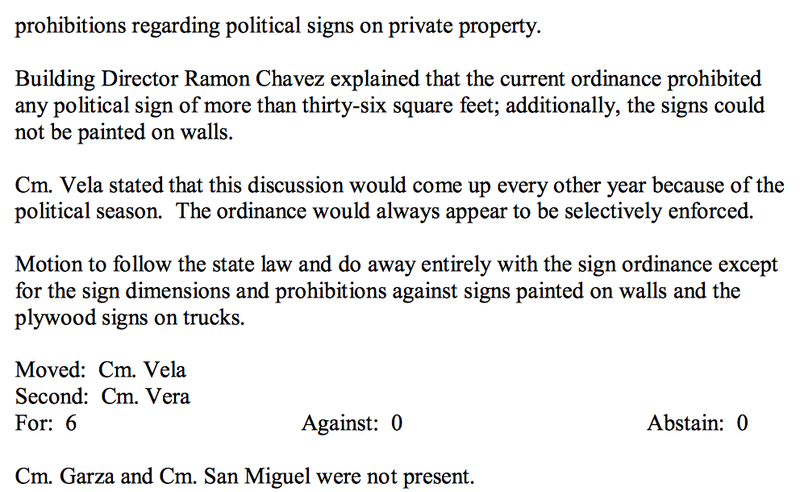 What city hall agreed on was banning signs of a certain size, signs painted on walls and signs propped up on trucks. Roque Vela voted for that. 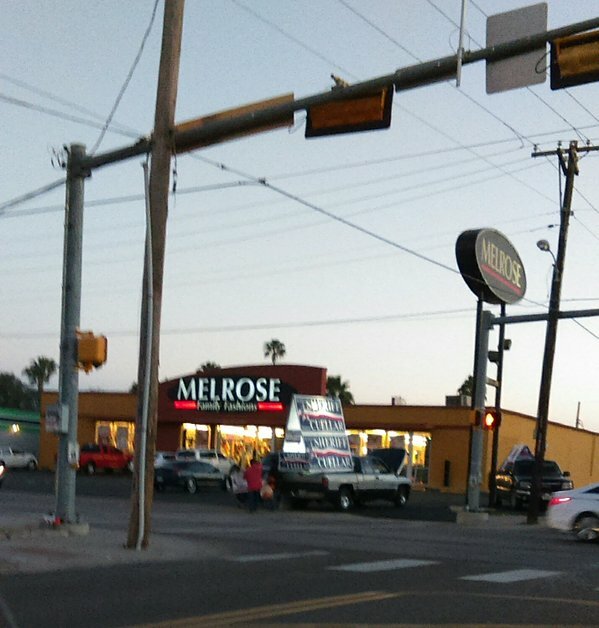 The city attorney saw no problem with limiting the size of political signs. 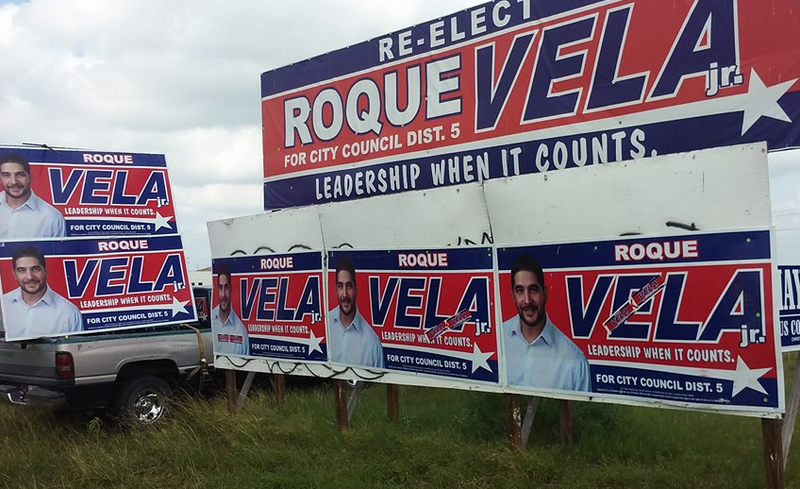 Somebody should remind Roque Vela about sign proportions. 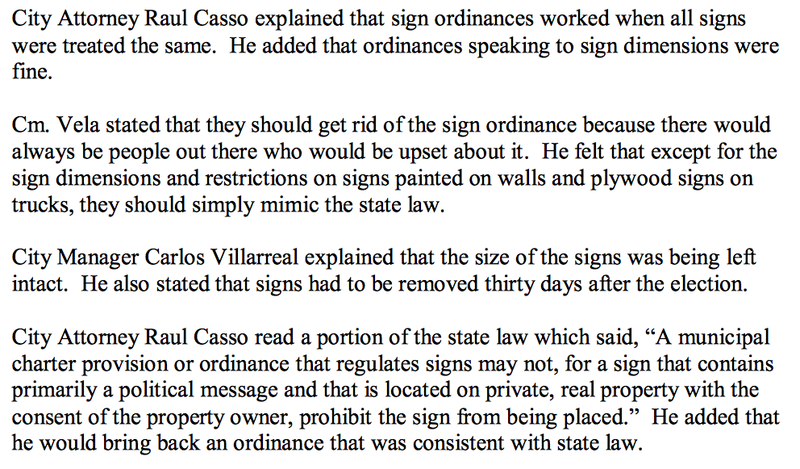 And the guy who is putting up Vela's signs should get a primer on what's kosher and what's not. He's apparently a political operative for a lot of politicians. But he hasn't gotten the memo on how signs can be displayed. There's a niche industry for canioneros (sp.) down here. They flout the law and politicians look the other way. With these kind of free-for-all, how can voters trust that the system is going to work? That truck looks familiar. I've seen it somewhere before. District 8 Councilman Roberto Balli was on Pro8news the other day talking about the disadvantage of running for at-large district seats: needing more money. His take on the matter is that candidates seeking an at-large council spot would have to lobby the elite among us to rake in the moolah. He says this type of hybrid system would discriminate economically toward city council hopefuls. "So that candidates have to go to powerful people, powerful groups ask for large sums of money to run campaigns," said Balli. This coming from an attorney who owns two properties (that I know of). I can't assume that all attorneys are flush with cash. Perhaps Balli is just looking out for the less fortunate candidate who might seek office. Yet, I can't help but think that he has friends who could fill up a nice war chest for him. Whatever, let's move on. 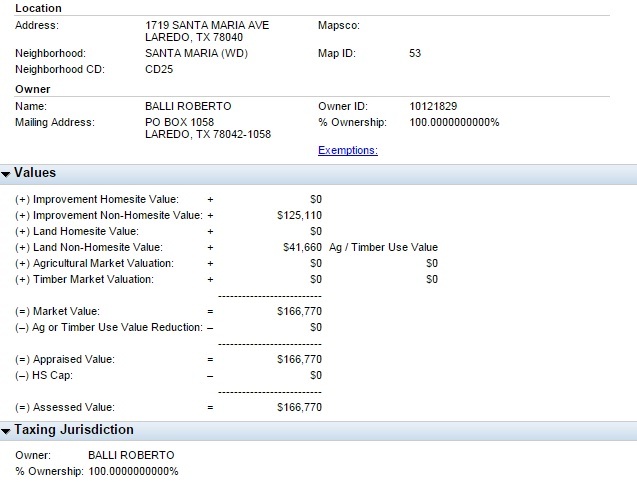 A check of Mr. Balli's property information today shows something different -- a change in valuation. The address is the same and Mr. Balli's name is still on it, but there's a difference in assessment of more than $100,000. 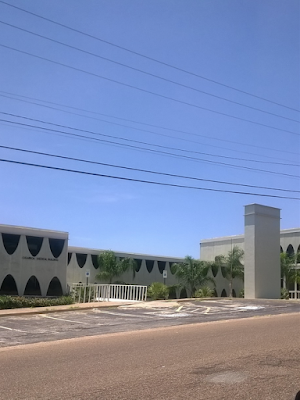 The Santa Maria home/office is a two-story structure and sits on a corner lot. Yet it's appraised at an amount where Mr. Balli only has to pay $736.02 in taxes for it. I'm almost tempted to make a call to the councilman and the appraisal office, but what good would that do? I've given up on the system here. There are too many things that don't seem right. 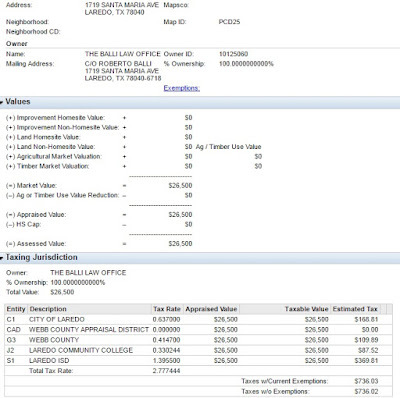 Just with this issue alone you have an elected official who supposedly lives in District 8, but his property doesn't have a homestead exemption. If I would question Mr. Balli on it, he would probably say, you don't really have to live in the district you represent. And then there's the appraisal difference. What's up with that? Perhaps I'm missing something here. Maybe I'm going about this all wrong. There might be a perfectly good explanation for all this. I need someone to explain it all to me. In the meantime, I'll just turn a blind eye to this. 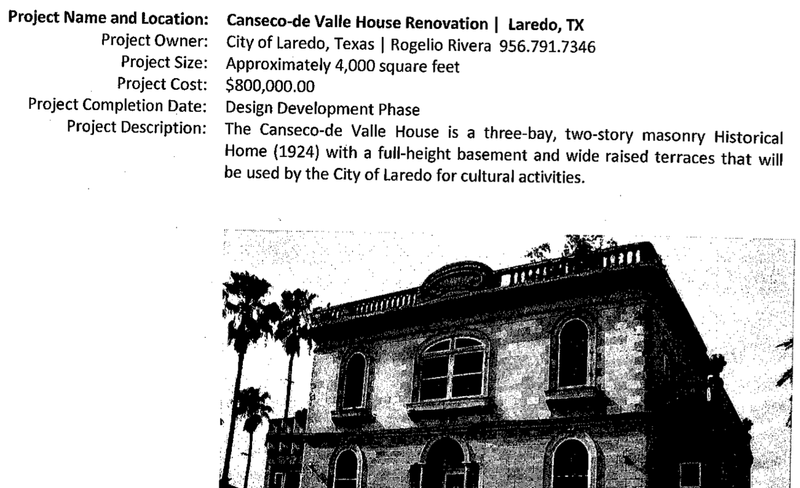 UPDATE: A blog reader informed me that the lower appraisal assessment ($26,500) is for the furniture on the premises. I didn't know the appraisal district kept information on those things. (Learn something new every day) Many thank yous to the reader who chimed in. I put in a call to the Webb Co. Appraisal Dist. but the directory tested my patience. I sent a message; hopefully I'll hear back from them. Will follow up on this post ASAP. On February 16, 2016, city council authorized the city manager to purchase the Canseco house on the corner of Chihuahua and Seymour. 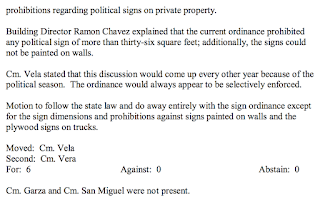 Alex Perez admitted that the property is zoned as a residential property, yet he is willing to pay double the value of the land because it was appraised as a commercial property by an independent group. City staff provided me with the appraisal that was done by Southwest Appraisal Group. They value the property at $540,000. 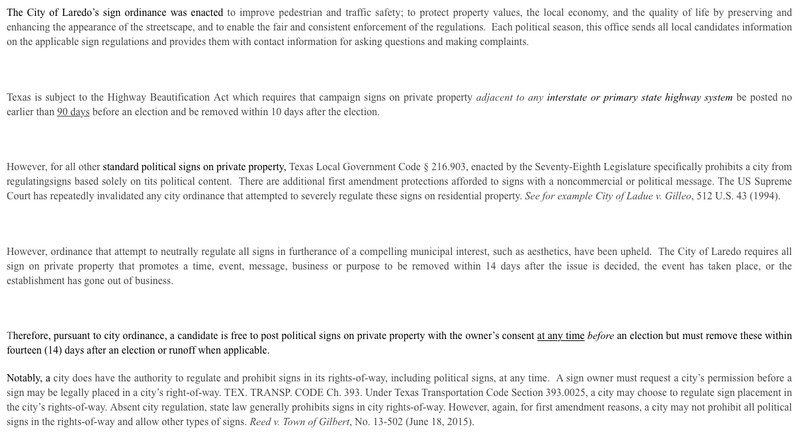 But in doing so, they recommend re-zoning the property for commercial purposes. Did the city rezone the property to give it a higher value? Or are they paying more money for it because of its potential, and because they have money to spare? 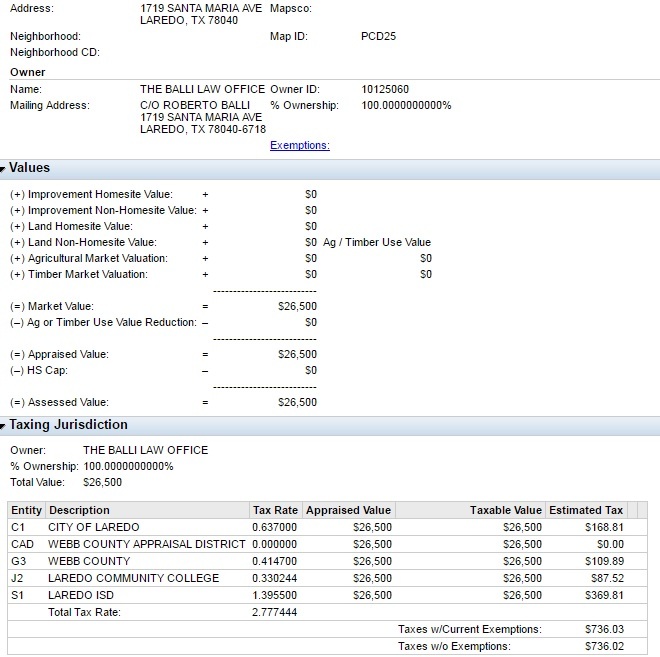 If the Webb County Appraisal District has the home and land valued at a little over $200,000, I would rather have the city walk away from buying this home and not pay $450,000 (540,000 with a 90,000 credit). Alex Perez wants to turn the property into something that will serve the arts community. I don't know what that means. Southwest Appraisal, however, says the home is in poor condition. 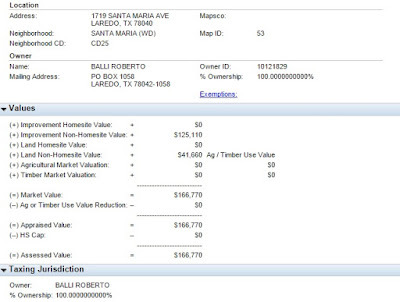 Perez seems to agree that the home is worth $540,000 and that it should be used as a commercial property. But he doesn't hint at the recommendation of the appraisal group of demolishing the old home. The only bright side of this deal is that a vintage home will be saved. But we're not even clear that that's going to happen. A local architectural firm gave its proposal on renovating the home. That means more money. Where is all this coming from? 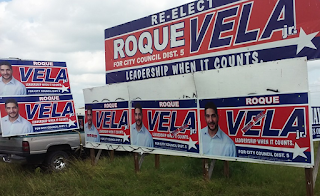 A Response From Roque Vela Jr. In the matter of at large districts and giving more power to the mayor I could not disagree more. This is simply a power play to take government from the people and give to the upperclass. By opening up districts to city wide elections unfair advantage is given to people of higher median incomes and abilities to raise money for more expense campaigns. As for the attempt to give the mayor more power it is simply a throw back to the past. As it stands now the mayor can and does add items to the agenda and has the ability to review beforehand. Maybe what he really wants is unilateral power to remove items and other council members items? As for the ability to make motions the words "may i entertain a motion to x" will suffice. At that point a fellow council member says so moved and the motion hits the floor. It is simply a matter of understanding Roberts Rules of Order. I am also highly concerned with the chamber of Commerce involvement in this power play giving the perception that the business community is in support. I find it highly hypocritical that this group uses words like democracy and says they want the people to make the ultimate decision when they have done the exact opposite. As a business owner I am a member of the chamber of Commerce and as of yet have not been given an opportunity to voice my opinion on this matter. Instead the decision of the chamber to support this matter was made by a few in an obscure room by many of whom (to my knowledge) do not own a business. I ask that the chamber send mail out ballots to the more than 600 members before they continue their involvement. Labels: City of Laredo, Roque Vela Jr.
My son and I went out to the Slaughter Park trails to get some fresh air. The thickets next to the soccer fields make a wonderful bird sanctuary. It's a good place to go bird watching. Next time we'll take binoculars. 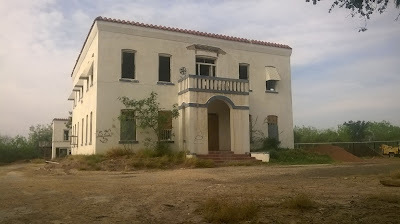 When you get to the other side of the trails, you come across an old house that stands vacant. You be the judge whether it's creepy or not. This structure is just one of the things that make the Chacon neighborhood unique. 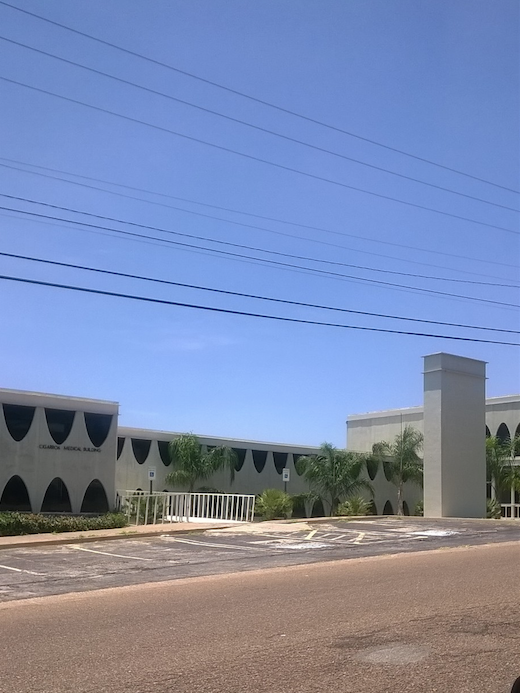 The Cigarroa office complex located on Logan Ave. (across from the old Mercy Hospital) has been vacant for a while, as far as I know. In January of 2010, the city decided to lease the property with the option to buy. 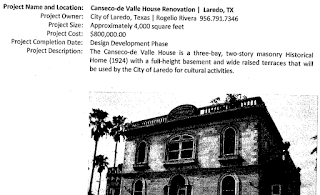 But like most deals with the City of Laredo, it fell through. In 2015, the city decided to let go of the property. We, the taxpayers, were paying $12,000 a month in rent for a building that didn't really serve the public need. And now, before the keys are handed back to the owners, the building must be restored to its original condition. This is how the city does business. This morning’s congressional debrief included a number of guest speakers brought in by host Congressman Henry Cuellar. Melissa Meyer, the Senior Congressional Liaison at the Texas Department of Transportation met with members of the delegation and addressed them this morning. That was part of a press release provided to local media outlets (or people like me who just want to know what's going on). Our city leaders, along with County Judge Tijerina, have been in Washington this week, talking with federal officials about ways of bringing home the bacon. All the photos that get filtered down to us are usually of our reps conversing with various D.C. types. One particular photo seems unremarkable, until you take a close look at what my own council member is doing. Our elected officials will soon be home with their continuing education certificates in hand. They'll be able to relax in their own homes after a grueling week of sightseeing stuffy meetings in our nation's capital. The struggle is real, ladies and gentlemen. Next time you see one of our leaders, thank them for their traveling.